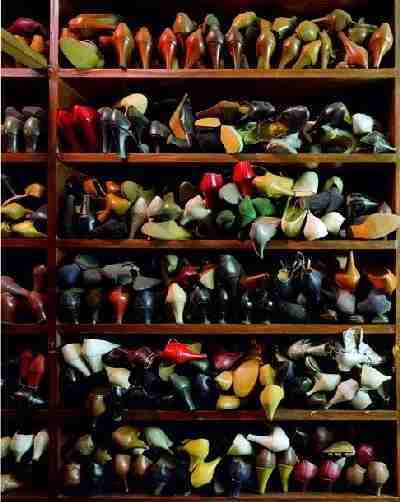 Just a small portion of Imelda Marcos' 3,000+ pair shoe collection. Whereas it took us forever to formulate, plan and create our Special Clothing Section, this "Cool Shoes" page practically wrote itself! All we did was list cool shoes we had enjoyed throughout the years. If you're like my wife, the older you get, the less you can tolerate tight, confining shoes on your feet. 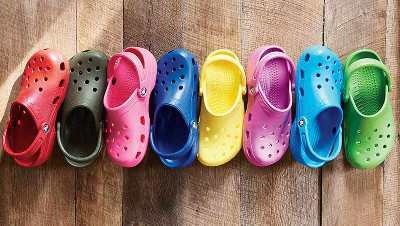 Crocs, (those popular plastic foam clogs) came along at just the right time for her, and she keeps several pair in her closet. 90% of the time, that's the shoe she is wearing. Crocs were originally designed to be boating shoes, but quickly became popular with hospital staff and restaurant workers, who spend long hours on their feet. Although some folks consider them ugly, they are very lightweight, waterproof, durable and versatile. Bonus: Crocs fit loosely, allowing for the use of ankle-foot braces or bunion pads while wearing them. Crocs... the most comfortable clogs, sandals and slippers on the planet! TIP: Don't buy the cheap knockoffs... they are not the same; they don't fit right or last as long. My wife has had a pair of these clunky sandals in her closet ever since I met her. She claims they are super-comfortable and have been a "fashion staple" in America for decades. 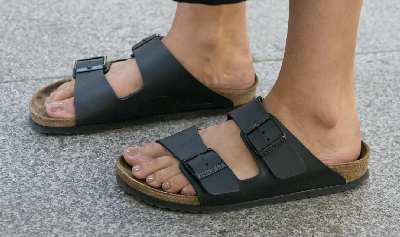 Birkenstocks are a classic, and have been manufactured in Germany since the 1700s! The shoes are made from cork and leather, with a patented design which allows the sole of the shoe to mold to the unique shape of your foot. Birkenstocks have a "learning curve". When you first start to wear a new pair, the sole seems heavy and unyielding. They can even hurt at first. But as you walk more and more in them, they become more pliable as they adjust to your foot and gait. So I guess you could say... no pain... no gain. I found the results worth the effort, and you will too. Remember Earth Shoes? 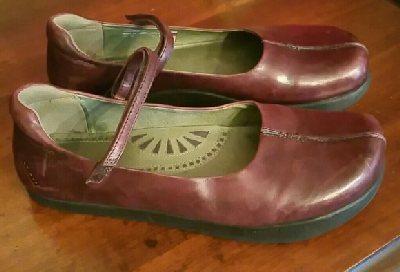 Those little flats and sandals that came from Denmark in the 70s, with the heel lower than the toe? The theory behind this patented Negative Heel Technology® was that it burned more calories, improved your posture and strengthened your calf muscles. (you know, always walking uphill...). There must be something to it, because the Kalso Earth Shoe has stood the test of time, and remains a fashion favorite. Fans claim the generous arch support, padded collar, stay-put closure straps and negative heel combine to make for a superb and healthy shoe. Honestly, my wife hasn't worn Earth Shoes in years. We included it in case you want to try one of our Classic Cool Shoes. In the picture above, they look like ordinary strap sandals, but they are actually the original sport-sandals. So what makes Tevas so special? Rugged enough for any athletic outdoor adventures you can throw at it! Mesh upper construction allows great airflow/ventilation to your feet. The mesh lining wicks sweat away, keeping your feet dry during your hike. 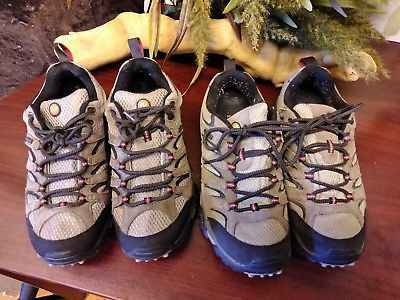 Waterproof for hiking through wet terrain. Although they perform a fitness tracker role, these are some really fine running shoes in their own right. Reviewers were impressed by the well-cushioned yet flexible sole, impact absorption and breathability. 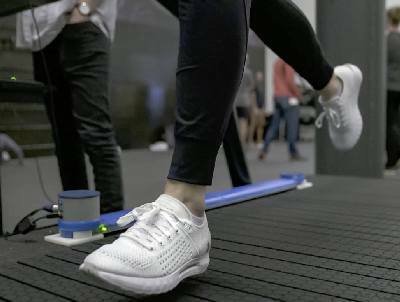 Now for the bonus: Sensors in the shoe digitally track, analyze and store all your exercise data to help you keep on track and engaged with your fitness regimen. Never tie shoe laces again! These clever lacing straps snap into your shoes when you first get them. Then just slip them on when ready to wear them.... without tying. Classic & comfortable... check out our picks for the finest blue jeans and t-shirts on the market. Take a fun and interesting tour of the most ridiculous High-Tech clothing items out there.